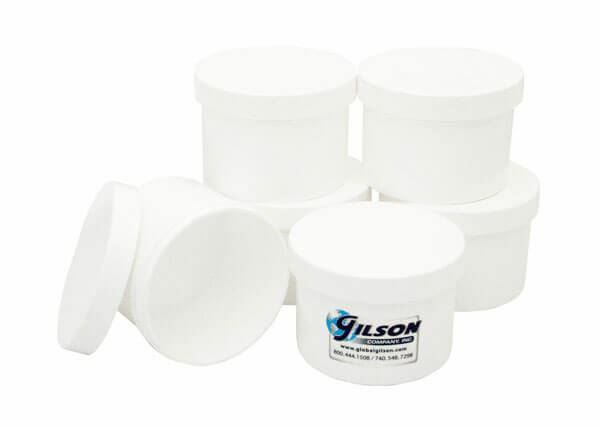 Plastic Sample Containers - Gilson Co. Plastic Sample Containers protect samples from moisture, dust and other outside elements during storage or transit. Available in 2, 4, 8, 16 and 32oz capacities. These containers are lightweight Polypropylene wide-mouth jars with leak-proof screw-top lids. The 2 and 4oz containers come in a case of 24; the 8, 16 and 32oz size containers are available in a case of 12.